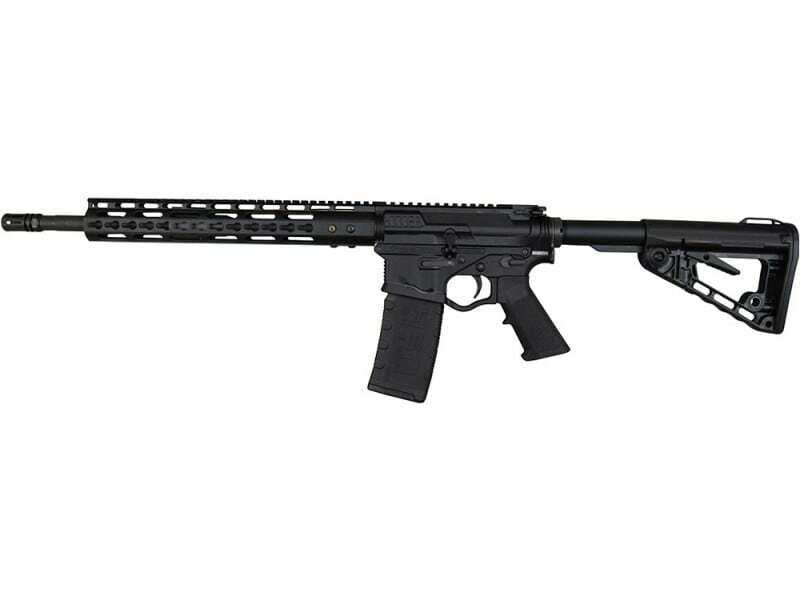 The ATI Tactical Omni Hybrid Maxx w/ Keymod Rail is an AR-15 5.56 NATO/223 Remington cal rifle. 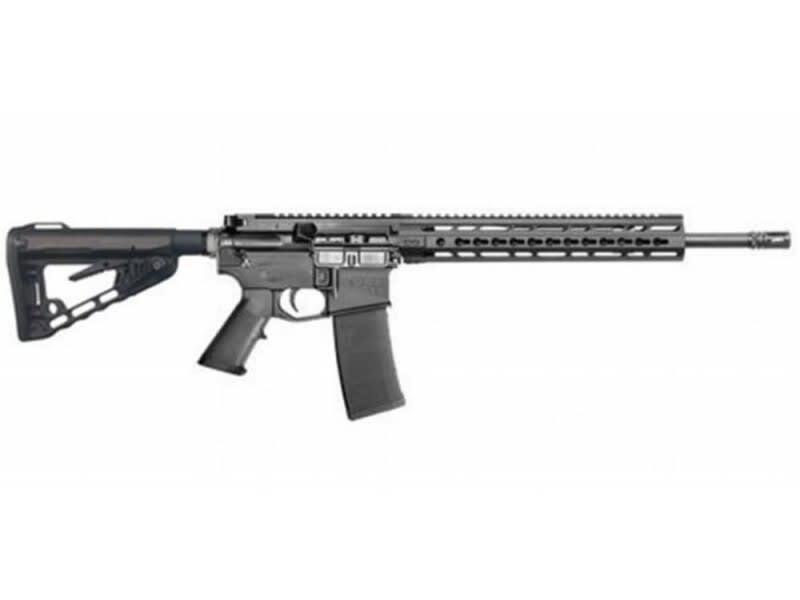 It has a 16" barrel with a 13" keymod rail and a black finish. Includes (1) 30 round magazine, and has a 6-position adjustable Rogers Super Stock. This Omni Hybrid Maxx features a patented hammer and trigger pin retainment system. 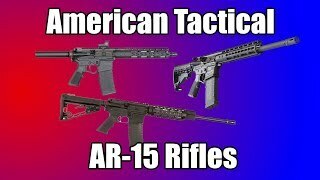 This allows the AR-15 to prevent movement from the hammer and trigger pin during firing. It also has incredible strength and durability due to its over-molded metal insert, which reinforces the buffer tube housing and rear takedown pin. This version of the Omni Hybred Maxx comes with the great looking keymod rail, is optics ready, and includes a 30-round magazine. 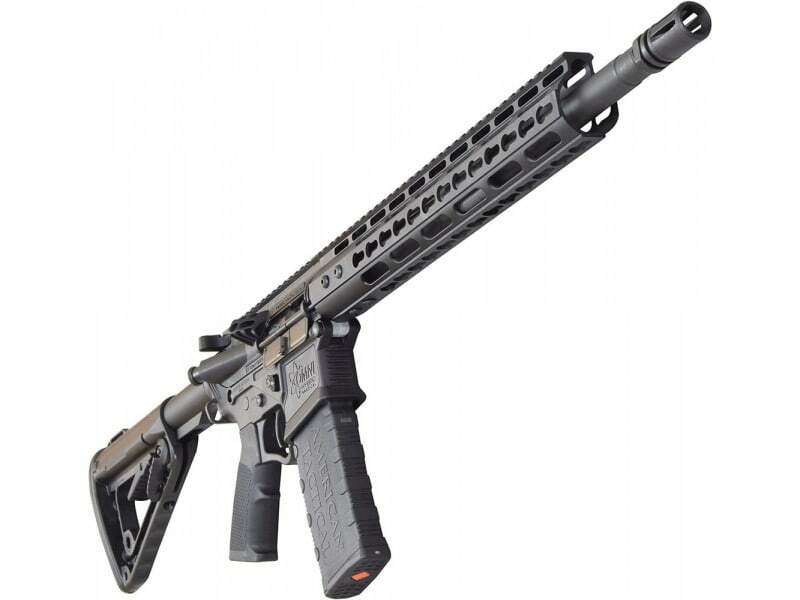 The ATI Tactical Omni Hybrid Maxx w/ Keymod Rail is an AR-15 5.56 NATO/223 Remington cal rifle. 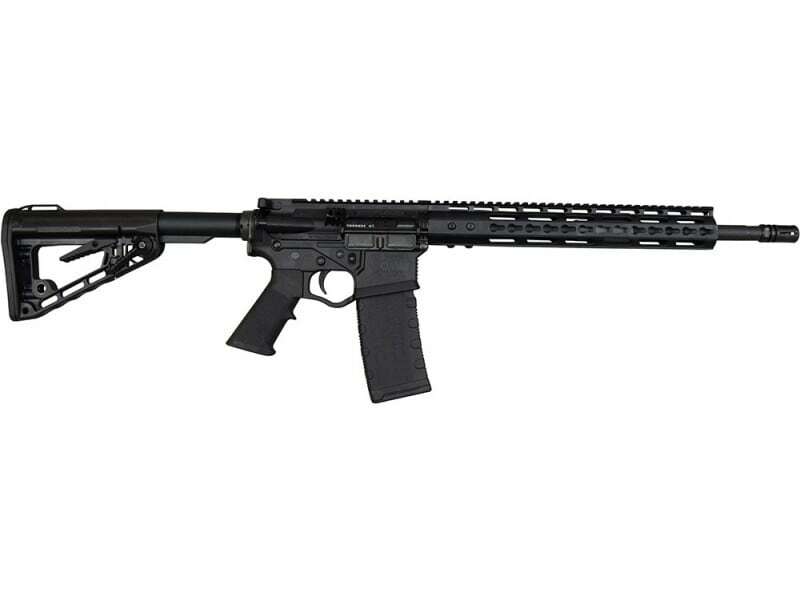 It has a 16" barrel with a 13" keymod rail and a black finish. Includes (1) 30 round magazine, and has a 6-position adjustable stock. It is optics ready. This variation comes with the highly popular Rogers Super Stock. This Omni Hybrid Maxx features a patented hammer and trigger pin retainment system. This allows the AR-15 to prevent movement from the hammer and trigger pin during firing. It also has incredible strength and durability due to its over-molded metal insert, which reinforces the buffer tube housing and rear takedown pin. This version of the Omni Hybred Maxx comes with the great looking keymod rail, is optics ready, and includes a 30-round magazine. Brand New, American Made, with Full Manufacturers Warranty. This Omni Hybrid Maxx features a patented hammer and trigger pin retainment system. 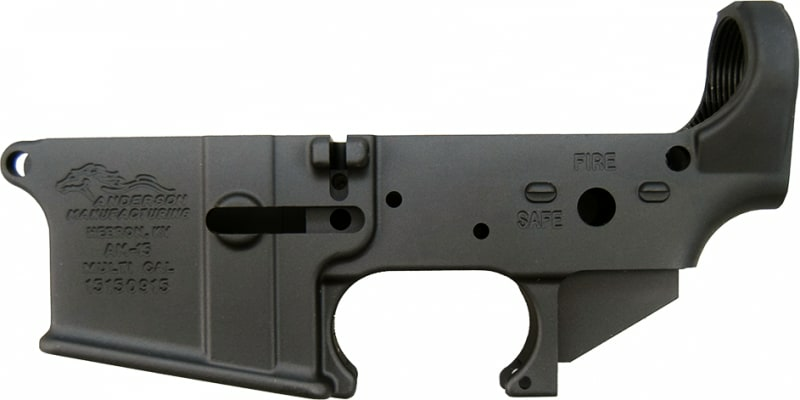 This allows the AR-15 to prevent movement from the hammer and trigger pin during firing. It also has incredible strength and durability due to its over-molded metal insert, which reinforces the buffer tube housing and rear takedown pin. This version of the Omni Hybred Maxx comes with the great looking keymod rail, is optics ready, and includes a 30-round magazine.